2018 New Year, New Focus! In the midst of political turmoil, terrorist attacks, and media battles, it is easy to lose FOCUS and succumb to negativity and despair. After the death of our three children, I lost my purpose and wandered in a midst of tears, unfocused, but trying to survive and to help my wife. their problems, we found possibilities and hope. Many people supported those ideas and goals over the years. delivered from death, after having been thrown away in the bushes of India or sold into slavery in Africa. give children a quality education and a brighter future? Thank you for your past support and your consideration once again. May you keep your light and FOCUS clear! Wishing you a wonderful, Happy and Healthy New Year. 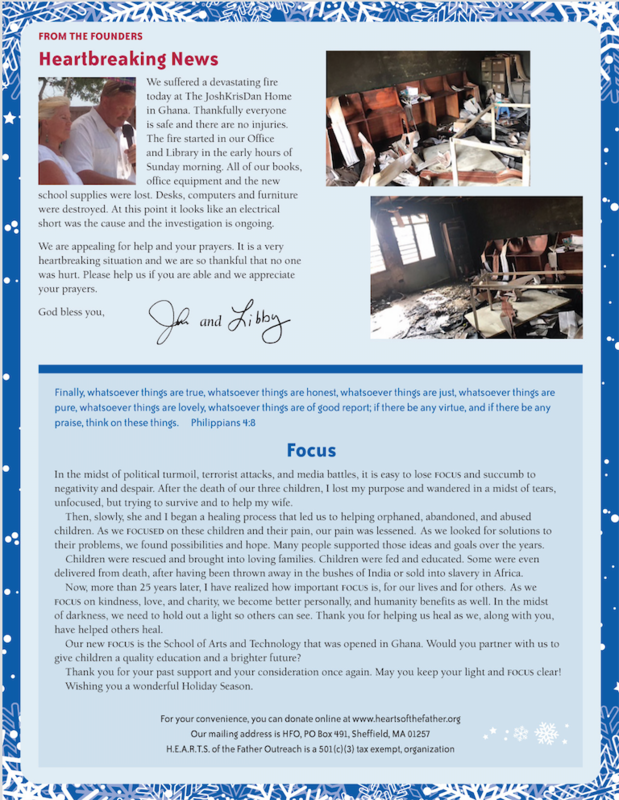 Download and read the 2017-18 Winter Newsletter to learn more about how you can help. No Comments to "2018 New Year, New Focus!"